RISMEDIA, March 14, 2008-Multicultural marketing is about casting a wider net to seek customers that ultimately will help boost your bottom line. What many organizations struggle with is “the how” of multicultural marketing. The Gonzales Group has found several similarities among those marketers that have been successful in earning the business of the multicultural consumers. This week, we share a few of those successful characteristics that have not only helped organizations reach the multicultural consumer but also helped to grow their profitability regardless of the overall economic conditions. Successful organizations understand that reaching the multicultural consumer requires research to understand what the customer needs, wants, and more importantly, what the value proposition drivers are to deliver the right service in a profitable manner. Knowing the demographics is one thing but understanding the perspective of the potential homebuyer is another. Organizations often get caught up in the frenzy of rushing a product or service to market without giving much thought to the perspective of the customer. Having all your collateral marketing material literally translated into Chinese is a noble gesture, but if your readers do not understand the fundamental principles of home buying or the concept of lending it may as well be in hieroglyphics. Do the research to find the stages of assimilation of your target audience or the degree of foreign-language use in the home. This type of information can help you utilize your resources and marketing dollars more wisely. Building it does not ensure they will come. Organizations sometimes create products and services in a silo without much input from the end user and fail to understand why the customer is not knocking down the door to buy their product or service. Successful organizations take into account the language and cultural nuances of their targeted audience to insure that their product or service has relevance. Make certain that your product or service is in-culture and not offensive when it comes to phraseology, color, or numbers. As innocent as a marketing campaign may be, the message sent may be as offensive as selling a product here in the U.S. that is packaged in black with the number “13” or “666” on it. Pretty Scary. As with all marketing initiatives, it is important to have the support of all the players in the organization from senior leaders to your front line administrative staff and sales teams. 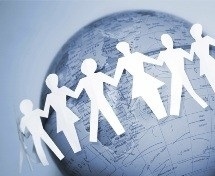 Understanding multicultural marketing takes time and is viewed as a long-term investment by successful organizations. Calculating ROI in the traditional sense often takes time to discern meaningful trends. Successful organizations adapt to the changing climate by focusing more on relationship-oriented metrics such as customer loyalty. These are only a few of the characteristics of organizations that have benefited immensely from multicultural marketing, have made inroads with this growing customer segment and have built lasting relationships. For more information, visit www.thegonzalezgroup.com.